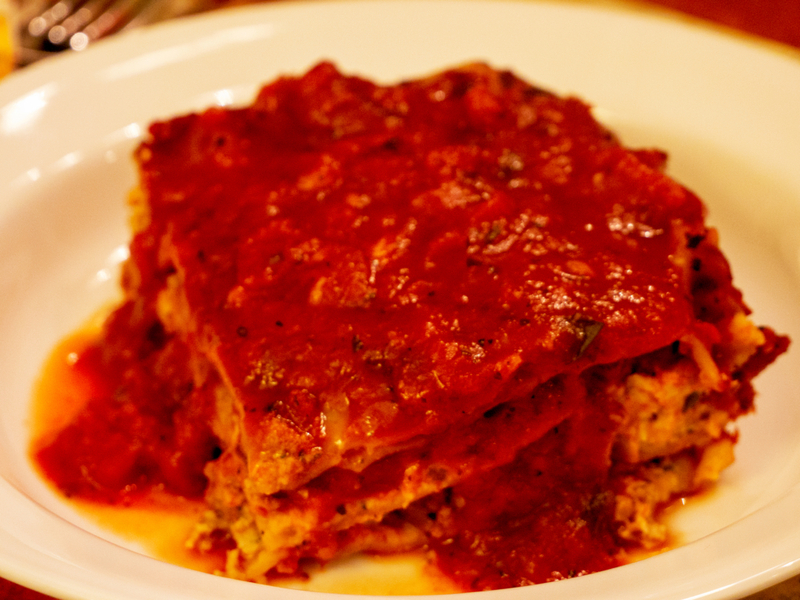 Simply amazing, guilt-free vegan gluten free lasagna. This lasagna tastes like the real thing without any meat or cheese. The only difference is you won’t have the typical post-lasagna gut bomb. 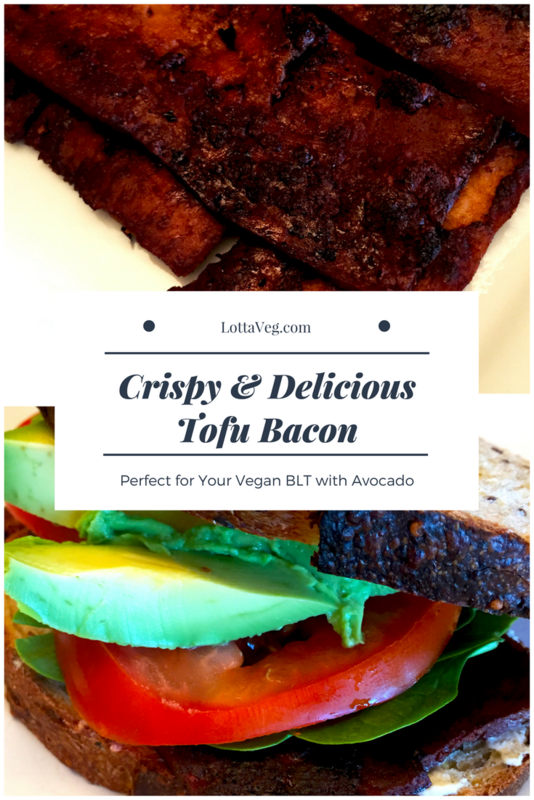 You’ll want to trick your non-vegan friends with this one. This is the easy way to make lasagna. By assembling everything in a baking dish and placing it in the refrigerator overnight, you don’t have to boil the lasagna noodles. And that saves a lot of time and hassle. To make it even easier, use two 26 oz jars of marinara sauce instead of making the sauce from scratch. That saves a TON of time! Sometimes, I let the sauce cook down too much and we run short so I make up the difference with a jar of marinara sauce. It’s also good to heat up some marinara on the stove to ladle over the top of the lasagna when you serve it (as shown in the pictures). We used rice noodles in this recipe to make it gluten free, but you can use whole-wheat lasagna noodles if you like. It works the same either way. We also used Beyond Meat Beefy Crumbles as the ground beef substitute. 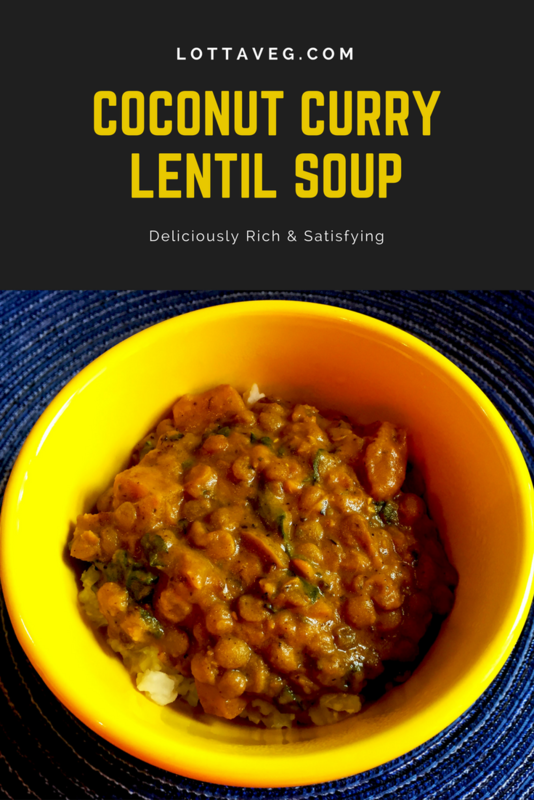 It adds some good flavor and texture without saturated fat. However, it does contain oil, so you can skip it or try using cooked and mashed brown lentils instead. If you skip the cheese and the Beefy Crumbles, this is an oil-free recipe. 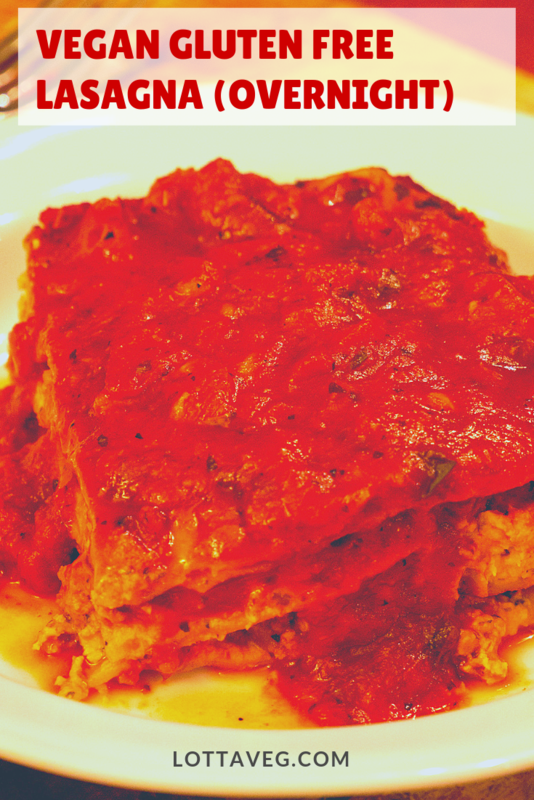 We made another version of this recipe called our Easy Vegan Lasagna using lentils and tofu ricotta. It tastes just as good but it’s a lot cheaper (tofu is much less expensive than 2 cups of cashews) and completely oil-free. Prepare the Vegan Cashew Cream 2 to 4 hours before you’re ready to assemble the lasagna. You’ll use this to make the Cashew Ricotta Cheese. This vegan gluten free lasagna recipe was inspired by an old family friend, Helen Breitenstein, who passed away back in 1993. She was a tiny Irish woman with a huge personality. She made this lasagna the typical way with conventional meat and cheese, but I’ve veganized it for your ethical eating pleasure. I’ve included her “hints” below the recipe. There’s nothing like a delicious Vegan Pizza on Friday night to kick off your weekend! We made the pizza sauce from scratch, but you can always buy ready-made pizza sauce to save time. Of course, then you’ll get all the added sugar that comes with it (and everything else they throw in). When you make your own sauce, you’ll know what every ingredient is, and it only takes a few extra minutes to prepare. 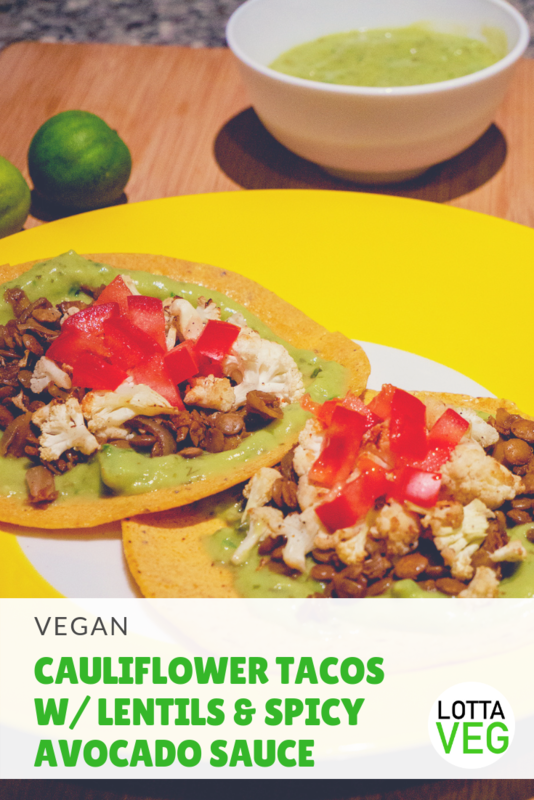 This recipe makes enough for 2 to 3 vegan pizzas depending on how much sauce you like on your pizza. You can cut the ingredients in half by reducing the serving size to 8 slices, or you’ll have leftover sauce. 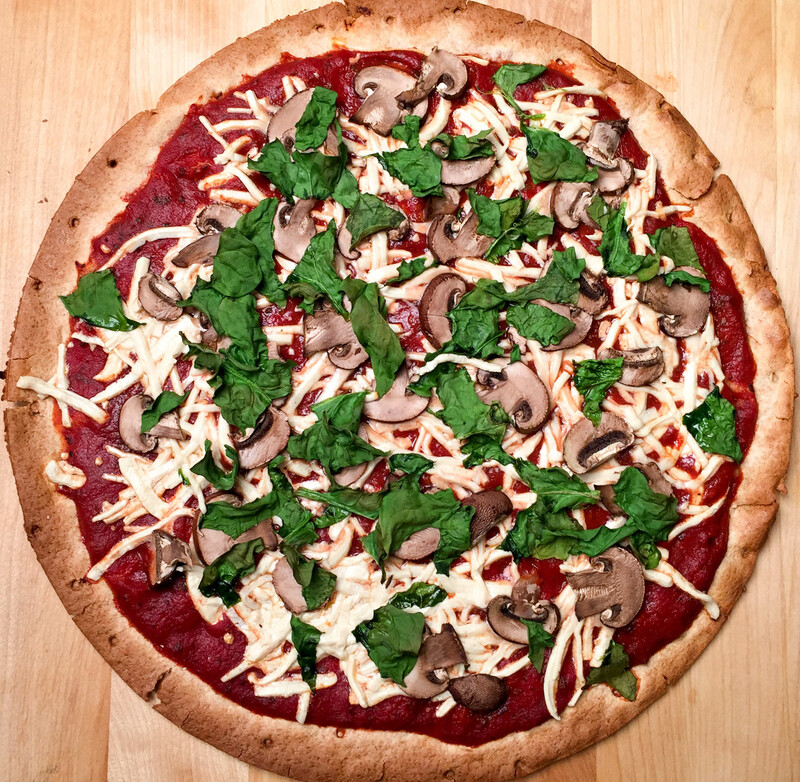 You can get really creative with vegan pizza toppings. You really can’t go wrong. Some other toppings to consider: tempeh bacon, beefy crumbles, peppers, olives, roasted garlic, sliced tomatoes, etc. The serving size is based on the traditional pie shaped pizza slice, but Amelia, being from Chicago, likes to cut them into squares. You’ll get about 16 pieces when you do it Chicago-style. You can make your own pizza crust, too, but that takes a lot of extra time. We chose to buy a pre-made whole wheat crust from Whole Foods. You can buy whatever type you like, but it may change the nutritional facts. 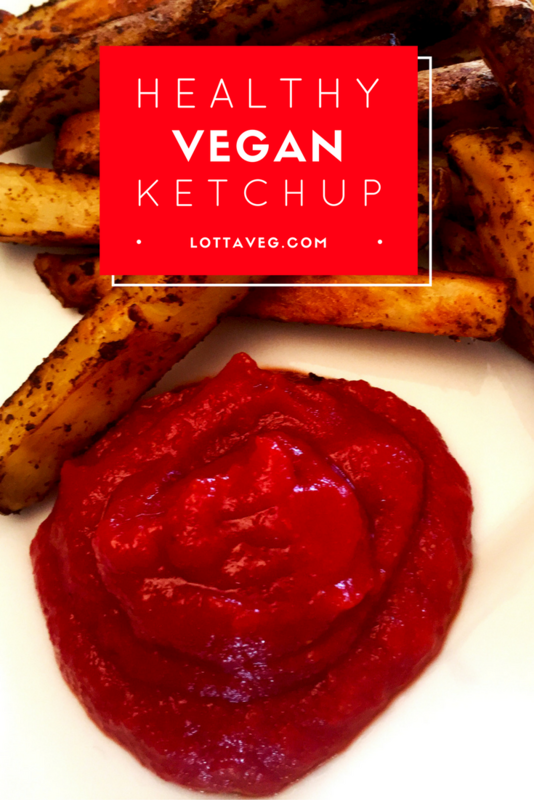 Skip the vegan cheese to make it oil free. Use a gluten free crust to make the recipe gluten free. Enjoy this with a delicious side salad for a little extra leafy green roughage. I used to be a jarred spaghetti sauce guy. I doctored it up to taste better, but it took less time than making my own. However, once I realized how much added sugar is in a regular jar of spaghetti sauce, I decided it was time to make it from scratch. After lots of trial and error, here’s my delicious Vegan Spaghetti Sauce. 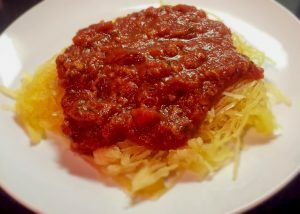 We prefer spaghetti squash since it’s much healthier and lower calorie than regular pasta, and it tastes really good. Just be sure to cook it long enough or it’ll be crunchy. It should be al dente but not crunchy. You can also substitute Tofu Shirataki Spaghetti for real pasta. 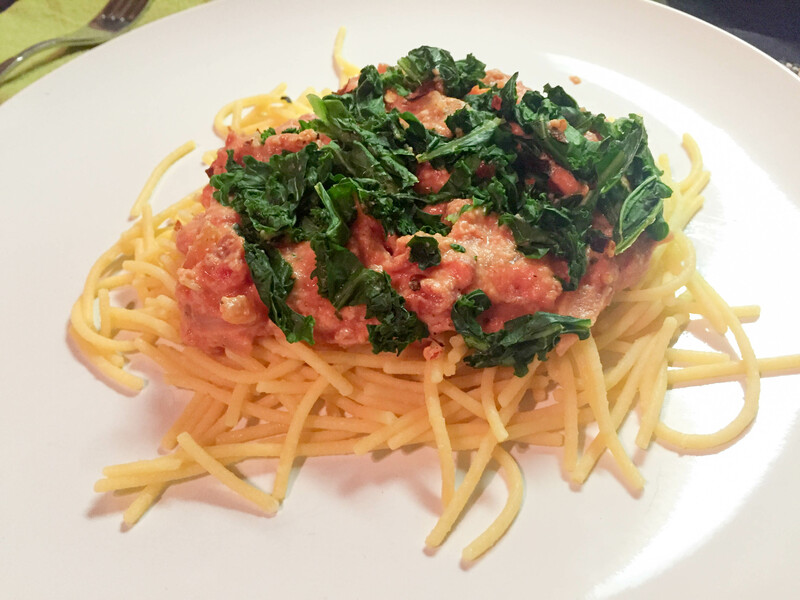 This looks and tastes like pasta, but it only has 10 calories and 3 grams of carbs per serving. It’s also gluten free and has been eaten for centuries in Asian countries. You can usually find it in the vegan cold foods section near the tofu. It’s in a plastic bag filled with water and noodles. Enjoy your Vegan Spaghetti Sauce on Spaghetti Squash with a delicious side salad for some extra leafy green roughage.